Science, Technology and Innovation (STI) are now universally recognized as the drivers of national economic development and key contributors to poverty reduction, disease prevention and environmental conservation . STI play a pivotal role in poverty eradication and sustainable development. Yet, tapping into the benefits of STI can only be achieved by creating robust STI systems and appropriate policy frameworks. STI explore the scientific and technological frontiers, stimulating discovery and bringing new tools to bear on public policy challenges that emerge as science advances. STI indicators are vital to give policy makers a sense of how the country compares with other countries. Thus to helps in answering questions on the best use of governance resources for enhancing S&E enterprise. Integrated approach to the above dimensions of the relationships between science, technology, innovation, policy. Augment skills among participants on conducting research, development and innovation. Expertise and confidence in the production of core Science, Technology and Innovation (STI),indicators, which would be important in the process, leading to the publication of the national reports on STI statistics on a regular basis . Researchers from research centers, organizations, and ministries. High and medium level policy makers from ministries and agencies responsible for higher education, science and innovation. The training course will cater to practicing researchers and/or lectures who are heading research centers, institutes, or any other research programs, both public and private. 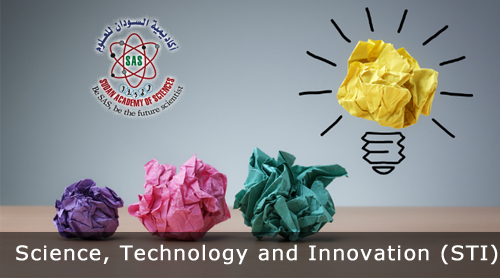 Science, Technology and Innovation (STI) concepts and Definitions. Scientific Research Methods for STI. Measurement and Databases of Science, Technology and Innovation (On-demand resources for policy makers). Power of Positive Thinking and Innovation. Public Private Partnerships for STI. In addition to the above topics, technical visits to research institutions and local case studies will be included in the course programme. This is to complement the class presentations. Visit to selected research institutions/ research centers both public and private. The program will last for 10 days. It will be held in SAS Headquarters,23 April. 2017. A maximum of 20 participants will be selected for the training course. An understanding of key ideas in science technology, and innovation, with limitations of these ideas . An awareness of the connections between different aspects of science, technology, innovation and policy and strategy, including a range of other policies objectives and methods . Ability to evaluate specific cases and policies in light of relevant theory and insight in a range of academic disciplines . An ability to analyze new ideas about science, innovation and policy and convey these in a range of relevant ways. - The registration fee is 2, 0 00 SDG . Meals and coffee during the training course period.